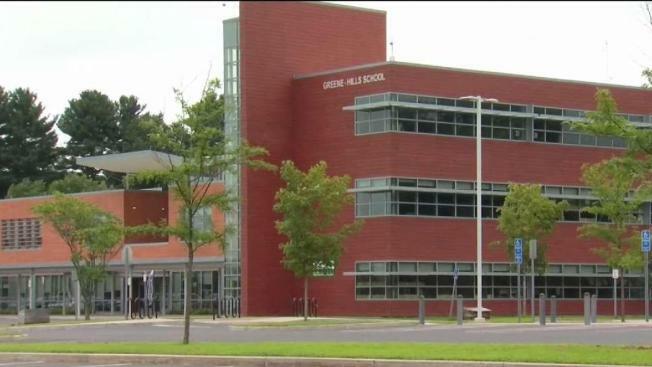 Three school employees at Greene-Hills School are on leave as police investigate allegations that a teacher inappropriately touched a student. Three Bristol schools employees have been placed on leave amid an investigation into allegations that a male teacher inappropriately touched a female student. Police said they received a complaint from the state Department of Children and Families on June 7. A news release Supt. Susan Moreau released Monday morning says the school department learned of an investigation that was opened after the Greene-Hills School filed a report with the state Department of Children and Families and placed principal Scott Gaudet; Timothy Hokanson, a grade 6 science teacher; and Sheila Theriault, a school counselor, on administrative leave pending the outcome of the investigations. “Given the serious nature of the allegations, both the Department of Children and Families and the Bristol Police are investigating this matter,” the letter from Moreau said. Police said part of the investigation is into whether school staff complies with state statutes for mandated reporters. The superintendent said the district is cooperating with the investigations. “The Bristol Public Schools take allegations of this nature extremely seriously and will take any and all appropriate action should an investigation determine that any of our employees engaged in misconduct or failed in their role as mandated reporters,” Moreau wrote.